Every week Guys Read will select a new book to be the OFFICIAL GUYS READ BOOK OF THE MONTH. These books come with our highest recommendation. Some are for younger guys, some are for older guys, but all are worth checking out. We think you’ll like them. 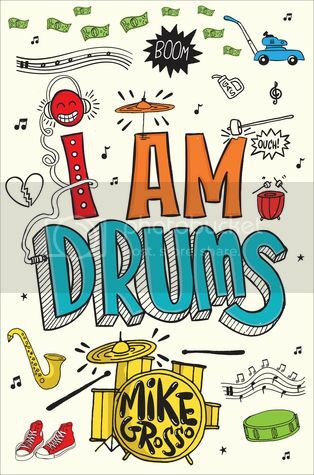 I Am Drums is a perfect Middle Grade novel for any kid who has been told or felt that they’re dumb for dreaming. (Check out our full review here.) 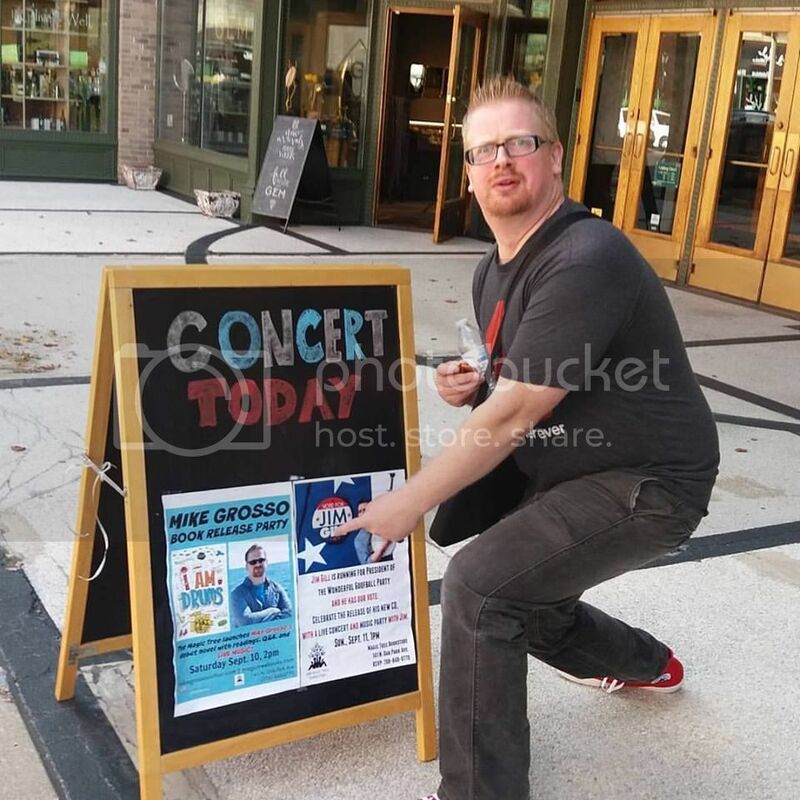 We were thrilled to chat with the author, Mike Grosso, about how being a teacher and musician inform his writing. GR: Why did you choose a girl narrator? MG: I wish there was some profound reason why, but the truth is I saw her that way in my imagination. I’m a big believer in letting characters develop naturally, and that it’s good to trust your instincts and write what feels real. I didn’t hardwire her personality in any special way. I just gave her the struggles I see in artistic kids who follow their own rhythm and let her speak in her own voice. Boys have responded well to the book so far, so I’m happy to see them embracing a girl narrator! GR: What about writing to a middle grade audience is special to you? MG: I’m very much a voice writer, and MG thrives on voice. As a teacher by day, I spend most of my time with middle grade kids. The way they interact is fascinating. Their conversations are wild and intense. They mean what they say and say what they mean. That can lead to drama at times, but the stories that surround them are amazing. It’s surreal seeing my book appear on my students’ desks. Ever cooler is seeing them finish it with a smile and ask questions about the end! GR: Where does your passion for music come from? MG: I grew up in a musical family. I have early Pre-K memories of my parents playing cover songs with neighborhood friends. I was three or four the first time I heard the Beatles on the radio—I ran to my mom to warn her another band had stolen their songs! She got a real kick out of that. My two older brothers and I played various instruments because it was a part of our household. I was ten or eleven before I realized not everyone had an upright bass in their dining room. So I don’t think there was any possibility I wouldn’t end up a musician. It’s in my blood. GR: Sam’s family is very affected by the recession. How much awareness of these realities do you see in your students? MG: In my experience kids are either acutely aware of the recession’s effects or are from families so secure they have no idea it ever happened. The latter, unfortunately, can create a culture of apathy and misunderstanding for those less fortunate. What really seems to confuse kids is where all of the money went. It’s hard for them to grasp that middle class money didn’t disappear—it’s just in the hands of fewer people, and those people tend to have educational tunnel vision. If it doesn’t affect the kids they care about, they don’t see any effect at all. GR: What ways make it easier to talk about this with students? MG: I think the key to teaching about any recession is to help kids understand that it’s not a single cause and effect. There are multiple bad decisions that cause them, and they hurt families all over the world in radically different ways. The effects of this past recession will linger, and I try to teach my kids (with some success, I hope) to see the bigger picture of what happened and challenges we’ll face in the coming years. GR: Nothing comes easy to Sam. I think that’s true for most artists. What were some of your greatest set-backs and challenges? MG: Every author collects rejection letters, so if you want to take a shot at doing this professionally you need to get used to the word NO. To use a sports analogy (since the Cubs finally won the World Series! ), you can’t quit the first time you strikeout. To use a music analogy, you can’t expect to play the drums if you haven’t practiced and learned from better players. Writing is the same. Don’t give up. Writers need to read a lot of books and write regularly the same way musicians need to listen to lots of music and practice regularly. You also need to understand that publishing your first book doesn’t mean rejection and failure is over. I lost my first publisher overnight and went back to square one. Sam wouldn’t have quit, so neither did I. Now I have a book on shelves! GR: What advice do you have for young people trying to create? MG: My best advice is to give yourself permission to fail. To try scary things knowing that sometimes they aren’t going to work out. Sometimes you’ll fall on your face or look silly, but the people who laugh are mostly just ashamed they were too scared to give it a try.